As undergraduates, students are often unaware of the specializations available to them with their majors and future graduate careers. In an effort to help students negotiate these challenges, Theresa Keicher—a PhD student in the Composition & Cultural Rhetoric program here at SU—spoke with Jim Seitz, Associate Professor of English at the University of Pittsburgh. We asked if he could share some of the productive ways that students could start thinking about specializations within Composition and Rhetoric. 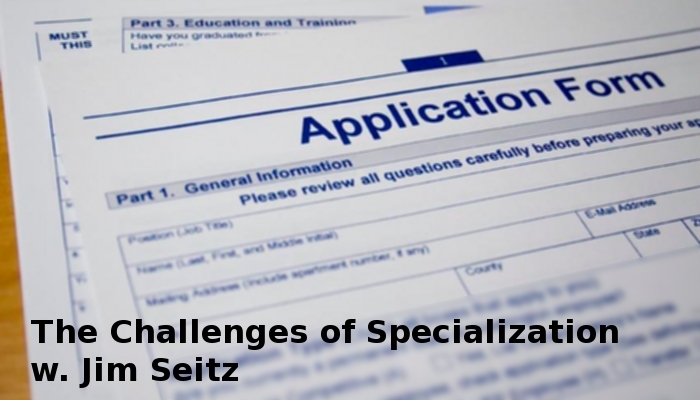 Episode 6 explores the process and challenges of specialization that undergraduate and MA students face when applying to English and Composition Studies graduate programs. To read a PDF of the full transcript, please download it here: Transcript for Episode 6.